WHEN: FRIDAY, 26th APRIL, 5pm BST. 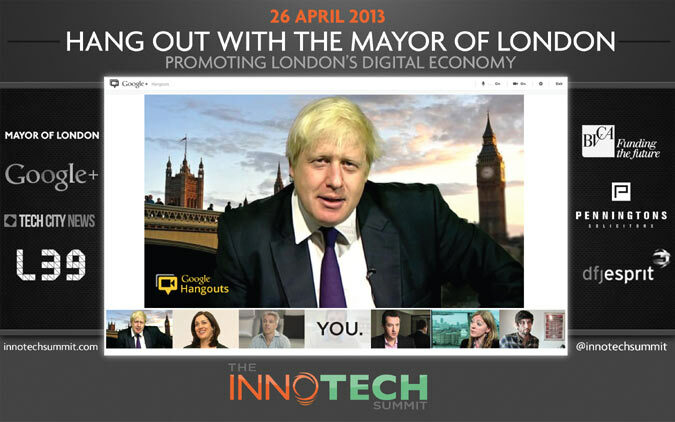 The Mayor of London is set to host his inaugural Google Hangout this Friday, live from London tech event, the InnoTech Summit. He is the first high ranking UK politician to use the multi-party video chat on Google +, popular with other world figures such as U.S. President Barack Obama and his wife Michelle Obama, Australian Prime Minister Julia Gillard, and South African President Jacob Zuma. Boris Johnson will be exploiting the social media platform to help promote the UK’s growing digital economy by attracting inward investment. Commencing at 5pm BST from London, the Hangout will connect the Mayor with highly influential U.S. venture capitalists who will be joining the video chat from InnoTech Summits held at 9am PSD in Silicon Beach (ROC, Santa Monica, LA) and San Francisco (Bloomberg office). This includes FeldaHardymon, Partner at Bessemer Venture Partners, Alastair Mitchell, CEO and Co-Founder of Huddle, and Mark Terbeek, Partner at Greycroft (venture capital for digital media startups). All are keen to see what London’s tech hub has to offer. “A Google Hangout is ideal for raising the profile of different issues, which is why it’s becoming an increasingly popular tool for politicians. 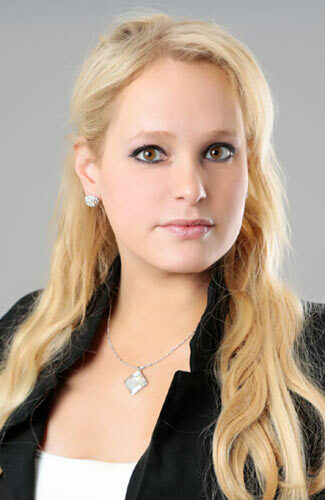 What better way could there be for Boris to promote the UK digital economy with tech minded investors from Silicon Valley, the original tech hub?” explained InnoTech founder, Jennifer Arcuri. The Mayor is being invited to discuss current initiatives designed to attract overseas investment and contribute a debate regarding actions necessary to create a better environment for UK startups to scale up in the UK, learning from panel members whose companies have served hundreds of IPOs. The ultimate aim is to reverse the drought of European high-tech firms on the LSE’s main market, none of which have floated since 2010. “London offers obvious alignment potential for Silicon Valley – after all, the Internet economy represents 8.4% of UK GDP, which constitutes a bigger share than for any of the G20 major countries, including the USA. And it’s forecast to grow to 12.6% by 2016. There’s a lot of potential here for U.S. tech companies, and we want to make sure they expand to London and other tech hubs in the UK,” said Jennifer. The Hangout also creates a participatory model of governance – tech startups have been invited to submit questions to the Mayor and panel members, for the chat. These can be submitted through the InnoTech Summit Hangout page. The dialogue will take place as part of the forthcoming InnoTech Summit (26 April), a leading business event designed to promote the UK tech scene. The Stateside ‘British Breakfast’ events, so called because they are scheduled for 9am PSD, take place during California’s Brit Week – a major affair that celebrates British business on the West Coast. The Google Hangout video chat, hosted by Boris Johnson, will start at 5pm BST. It will be streamed live from the InnoTech Summit at Level39, Canary Wharf, and can be viewed via the InnoTech Summit website and FaceBook page.